We know you have choices when it comes to your physical therapy care. We will work to exceed your expectations, so thank you for considering us! Athletes’ Training Center Sports Performance & Physical Therapy recognizes the importance of getting treatment quickly. We have convenient hours starting at 7 A.M. Monday through Friday. We also take appointments as late as 6 P.M. on some days and have Saturday hours by special appointment. On your first appointment, please arrive 20 minutes early to fill out our new patient forms. Please bring your insurance card(s), your driver’s license, and your written physician referral (if applicable). We ask that you wear loose fitting clothing to access the injured area easily. If you are a female patient, we ask you to bring a sports bra if we are evaluating an injury above the waist. For your convenience, we have provided our new patient forms below. The state of Nebraska is a direct access state. This means you do not need a physician’s referral to receive care from Athletes’ Training Center. Some insurance companies, however, continue to require a referral or pre-authorization in order to pay for physical therapy services. Although we will check for you while verifying your benefits, you are also encouraged to check with your insurance company to determine your coverage and whether a referral is needed. Athletes’ Training Center currently accepts all PPO insurances, Medicare, Workman’s Compensation, and auto insurance claims. We also accept patients on a cash-paying basis. 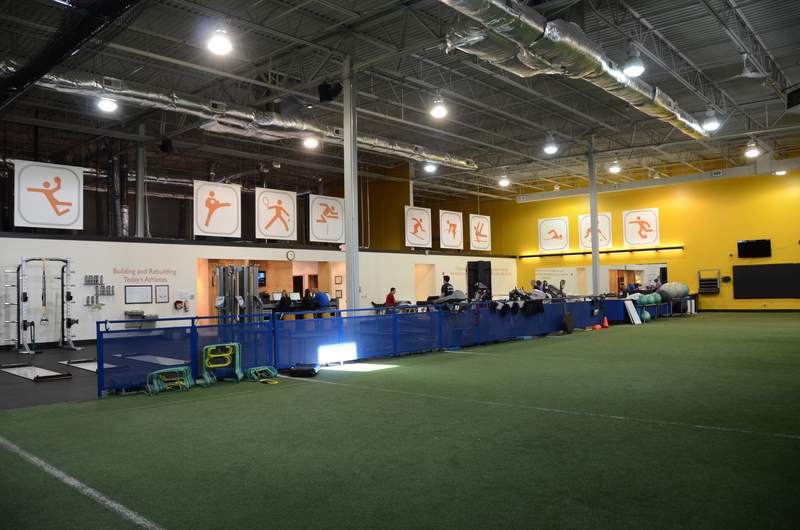 Athletes’ Training Center is a specialty clinic, so we are more efficient and cost effective than non-specialty clinics in the care of sports related injuries. Although we may not be on your insurance company’s list of providers, we will gladly accept your insurance and provide you care that may save you money in the long run due to our efficiency. Please feel free to contact us for a more complete explanation of your particular plan. I had such a hard time at other places trying to even start physical therapy. Their times did not meet my needs and many places were always full…Here they had many times and days that worked with my schedule. Their goals met my goals and I felt everyone here was knowledgeable and super friendly. I’d recommend this place to everyone for their physical therapy needs.